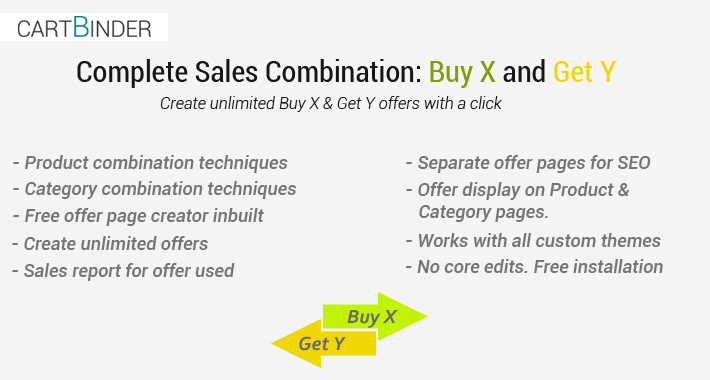 Complete sales combination is an all in one extension for creating different offers of type buy x and get y. 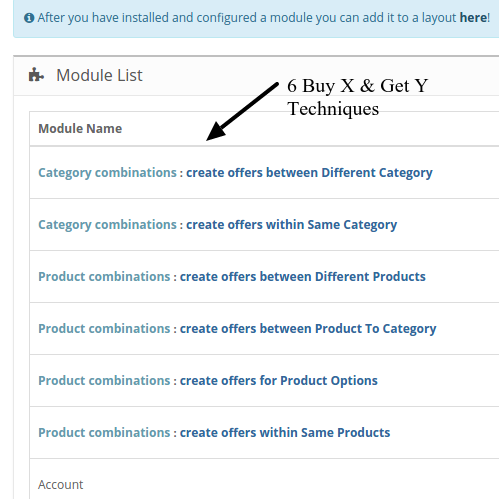 The extension provides you with 6 different buy x and get y techniques. 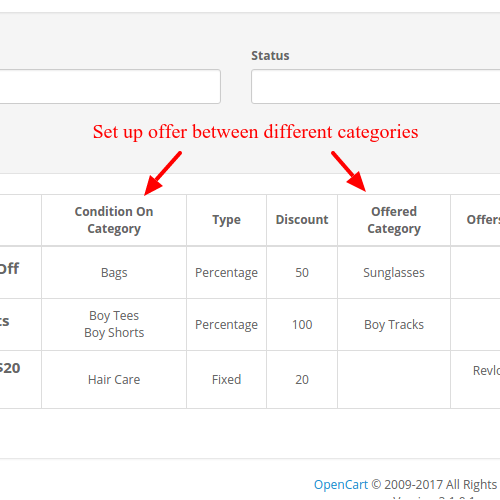 Ex: Within same product, category, between category, between product, from product to category, etc..
All the offers can be set up based on the conditions like customer group based, date range based. 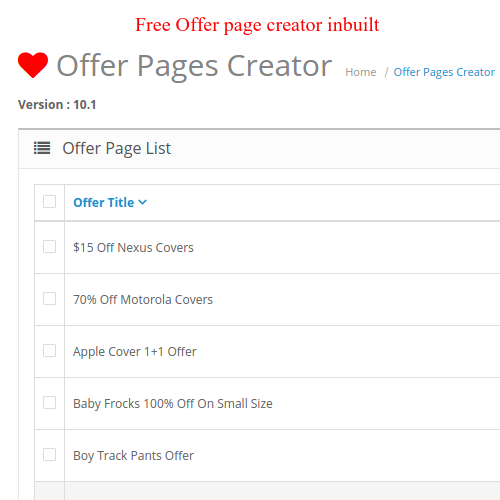 Because it also has an awesome inbuilt Offer page creator extension for free which is worth $35. Many customers have already got this extra extension for free. Grab it before our promotion expires. a) Now you can setup date range for the offers. So offers would be active only within specific dates. If nothing is specified it is always active. b) Added support for 3.x version. 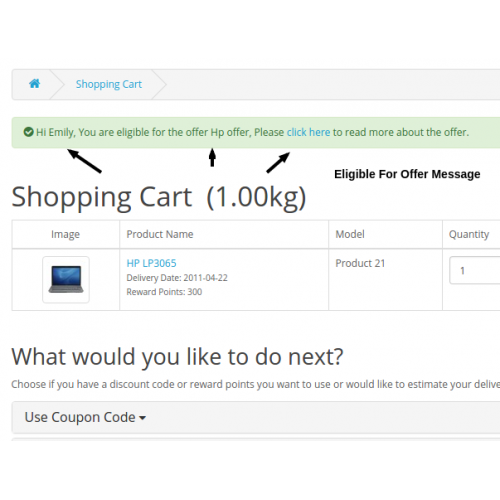 c) Customers can see offer description on cart and checkout page within the popup. 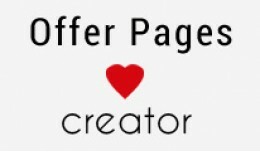 d) Code improvements and minor fixes in offer page creator. 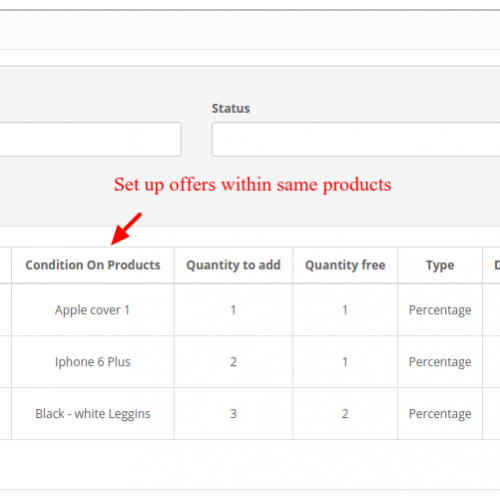 This technique lets you create offers within the same category easily. 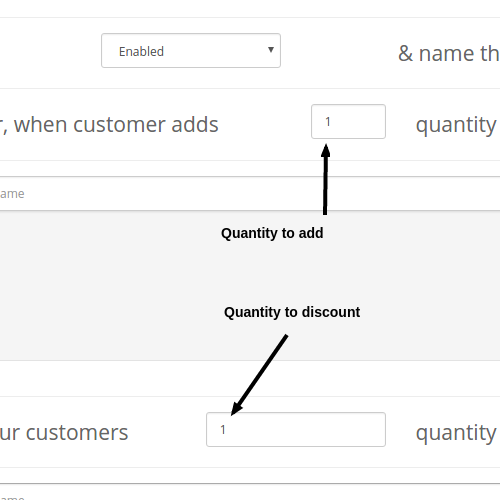 You can set percentage or fixed discount offers. 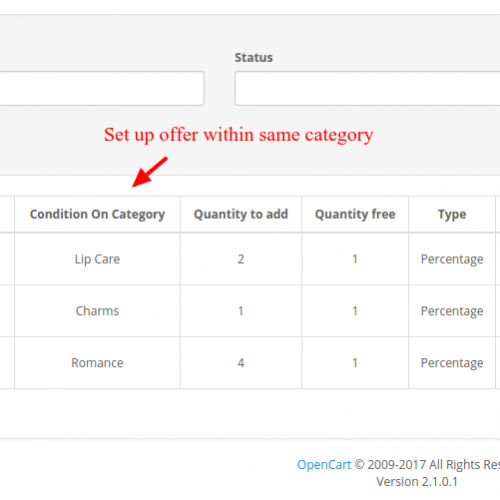 This technique lets you create offers between different categories easily. 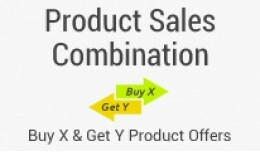 This technique lets you create offers within same product easily. 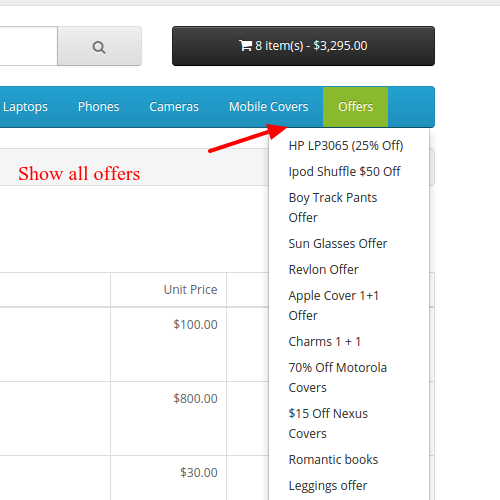 You can show available offers on the product page. 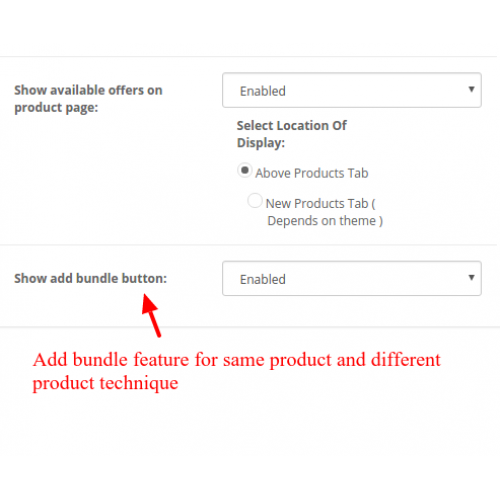 Feature to allow products to be added to the bundle. 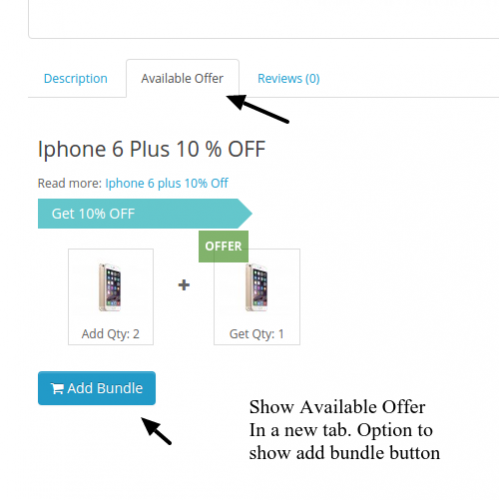 This technique lets you create offers between different product easily. 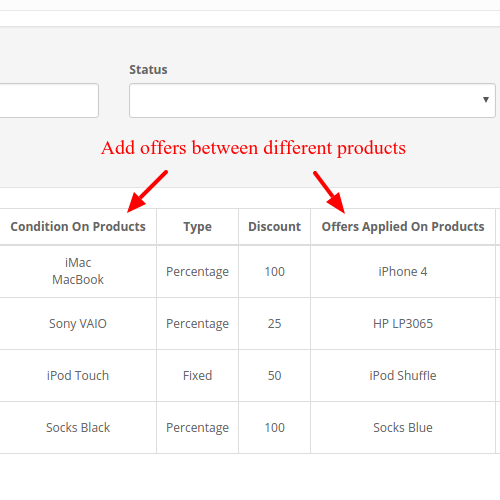 This technique lets you create offers between product and category. 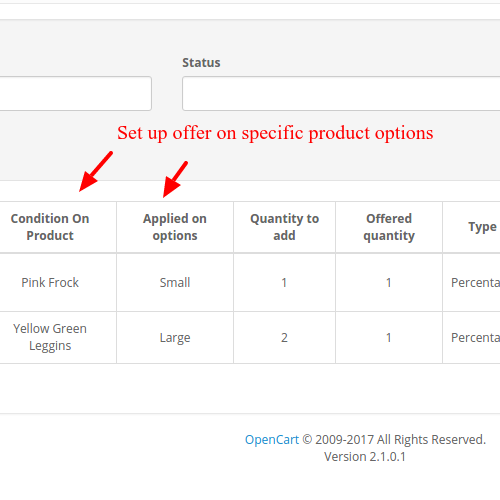 This technique lets you create offers for specific product options. Admin - Extension - Modules. Just creating offers is not enough. 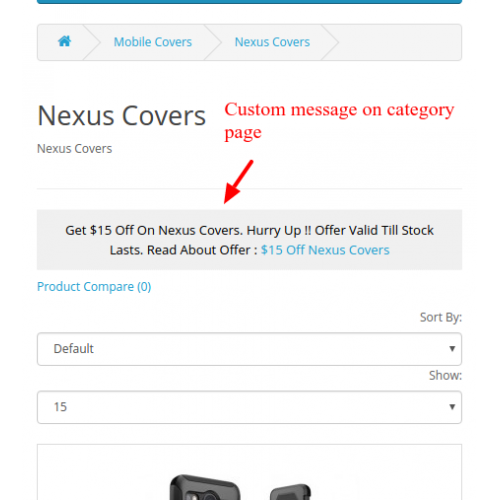 Displaying custom offer messages on products and categories, popup and stand along offer pages is also needed for proper promotional marketing. 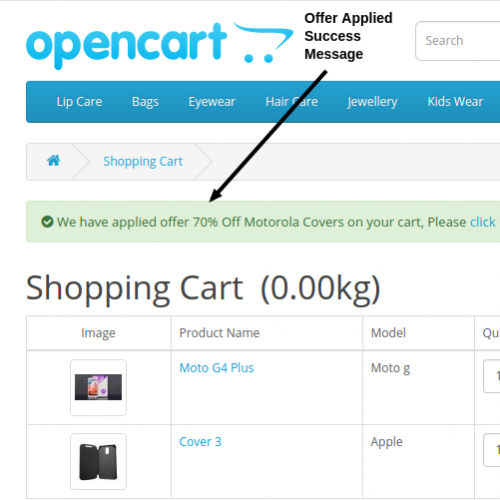 We have added our offer pages creator extension inbuilt within this extension. 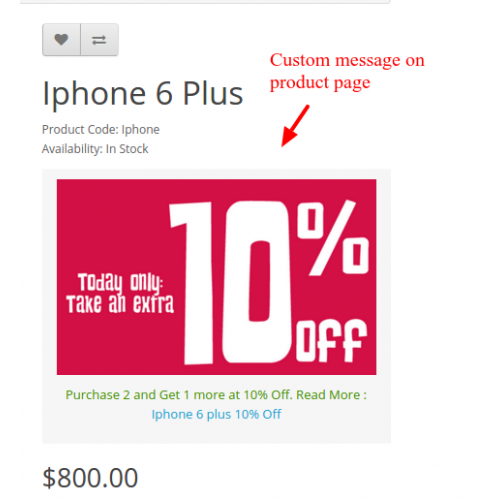 You can create offer pages, images, etc and display them on category and product pages. It is also SEO friendly. So you can add SEO keywords to offer pages. Customer visits your store via search engines, social channels, etc. 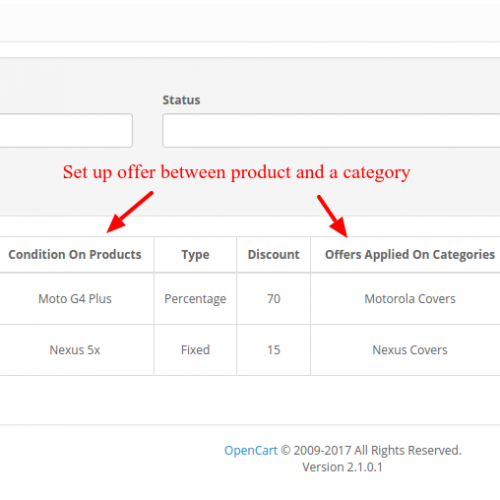 Offers are shown in the menu, on stand-alone offer pages, category page, product page etc..
All steps to apply the offer can be shown here. 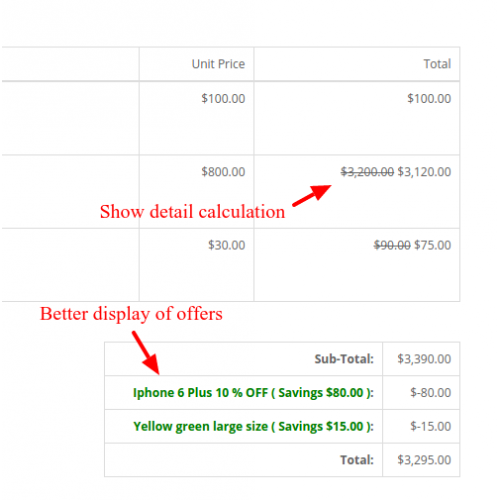 The customer can easily see the applied offer in order totals, shopping cart, and checkout page. 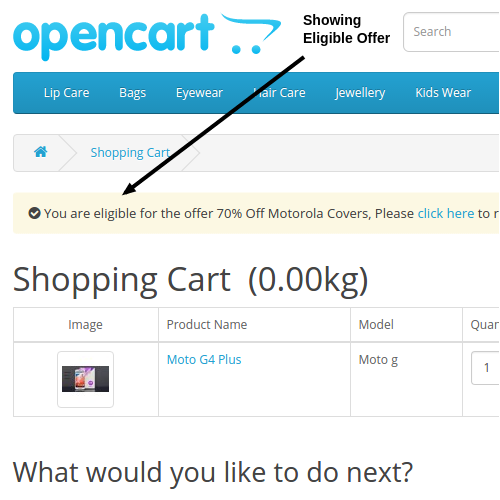 If the customer is eligible for the offer, we show them eligible message on cart and checkout page about the offer. - Works with all one-page checkout. well, This extension is a saver! it works like magic, and the support is more than great. Actually you don't have to bother your self. Support button is in the extension page in your site. This means that the programmer is so serious about providing the best support you can get. Thank you a lot. Fantastic support over the holiday season. Fantastic Extension | The coding is solid, and the support is amazing! This extension is a &quot;Must Have&quot; for all serious store owners, without it, your store will not be as good as the competition! Not to mention; the support that you will get, will literally blow your mind! This is a great team, with lots to offer! I am very satisfied, and I will with out a doubt be buying many more licences for other clients. You saved me with this extension. Also, thank you very much your great support! Easy to install. Good tech support with fast responding and real help. Thank you! Quick & Excellent Support by the developer. Recommended! A great extension and fantastic support. Great work. Great service Pavan, thanks guys - 5 stars definitely. Really awesome extension! it has a bit of a learning curve, but once you learn it and put it to work it works lilke a charm. Now the tech support of cartbinder is OUTSTANDING!!! This folks are prompt in responding and really get the job done. Highly recommend buying their extension as I am doing. This extension is pure gold and it does everything it says. I was amazed by the efficient customer support. They responded very quick and they have a lot of patience and tenacity to resolve the problem, which in my case was my own stupidity. great professional, fast and efficient Service. Very attentive to solve compatibility issues. I highly recommend it. Great! Support is immediate and perfect! Many thanks for extension correction. Now everything is working exactly as needed. SUPPER! Fantastic Support! Thank you. Great extension and great support. Nice support and unique features, my sales increased very much thanks to this module. Quick replies and quick to fix any issues! Happy to work with his developer! GREAT Extension!!! Works like a charm =), developer is very responsive and support is awesome. 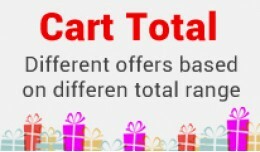 Cart Total : Different Range Different Offers Now set up different offers based on different cart total easily. 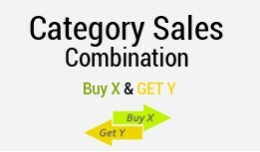 You can provide the discount based on a perc..
About Category Sales Combination Category combination offers is a sales combination technique in which you can set up offers within a category or between dif..
About Product sales combination helps you create unlimited combo offers within products or between products. 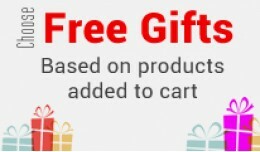 The extension provides you with 4 different buy..
About The extension gives your customer free gifts when they purchase total is above or between some range. 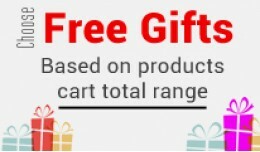 You can set different gift products based on diff..
About: The extension gives your customer free gift products when they add desired products or products from the desired category in a certain quantity. 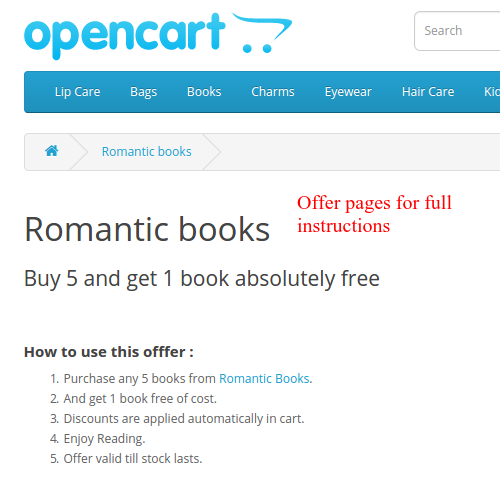 You c..
About Offer Pages Creator is an opencart extension which helps you create offer pages, messages and popup messages on store very easily. It helps you to dis..